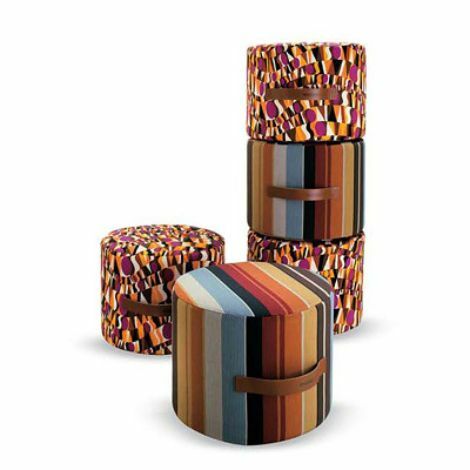 these 16″ x 12″ hassocks from missoni’s hammoch collectionÂ are gorge(ous). the covers are 100% cotton and are removable. they also have a stylish patent leather handle for convenient mobility. choose the geo-60’s arenas fabric, or the stripey arlequin.